Mary's first loom - delivered by truck from Ohio. 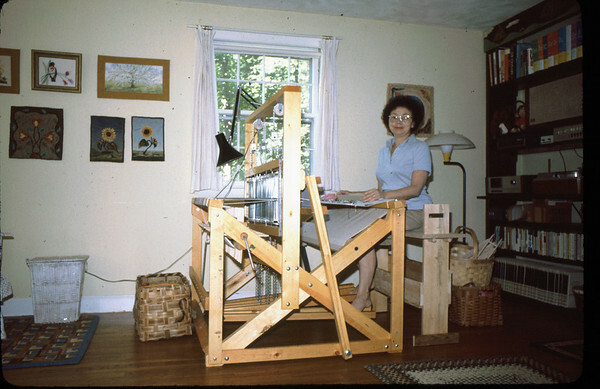 The seating bench was designed and built by husband Jim. The wall hangings and rugs are further examples of Mary's fiber art skills.